Have you ever wanted to see your company logo, family portrait or artwork on a glass or acrylic surface? How about a door? 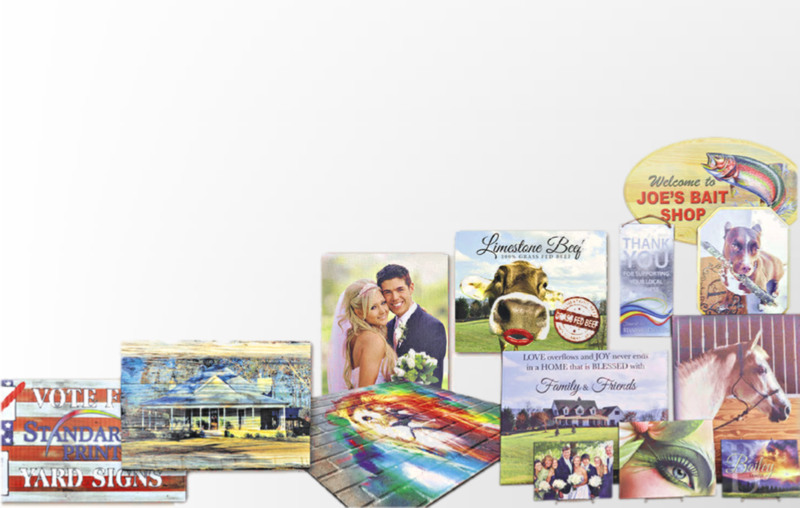 With our new, flatbed printer, we can print on just about any flexible or rigid material you want. The maximum can be up to 48” x 96” in size and up to 2.00” thick. Colors come out vibrant and true, with high-resolution detail up to 1200 dpi.